You’d Be a Great Volunteer! 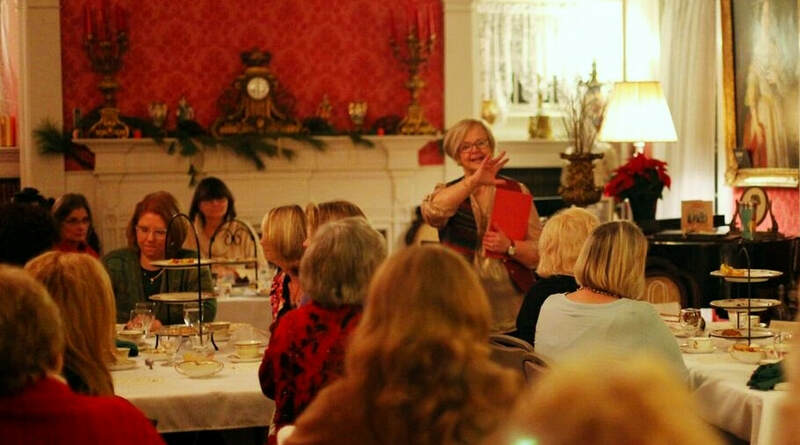 Volunteering at the Columbus Chapel & Boal Mansion Museum means sharing your time and talents with other enthusiastic people in the local community - Boalsburg, Oak Hall, Centre Hall, State College, elsewhere in Centre County - and beyond. Some people are excited by History. This museum certainly has history to learn and to share with our visitors! You might want to show visitors through the Mansion, Chapel, and special exhibit buildings as a docent (tour guide), explaining the stories of the 8 generations of the Boal family, their relatives, and close friends. Step back in time with them to see Renaissance European art, artifacts from Egyptian tombs, and the signatures of seven U.S. Presidents! To be a docent, you must be over 21 and able to walk considerable distances. Training begins with a full tour of the property. Or you may have special knowledge or training in a certain field, such as Renaissance art history, French or Spanish language or history, Civil War history, World War I weaponry - you name it! Come for a complementary tour and see what you might offer to the museum! Others enjoy Gardening. Our 48 acres encompass specialty flower, vegetable, and herb gardens, many different varieties of trees and bushes, several miles of walking trails, and the banks of Blue Spring Creek, all of which need care throughout the year. You could spend a half day a week or as much time as you like with other gardeners and our Museum Director, Bob Cameron (a gardening specialist). Still others might want to lend a hand with construction or maintenance work. Old buildings need continuous upkeep, and new exhibits need to be created and then maintained. Anyone who enjoys carpentry, glazing, electrical work, or general repair will find plenty to do at the Museum. Or you can volunteer during some of the special events held during the summer season and into the fall and winter. We always need people to take charge of Museum booths for a few hours at a time, help vendors when necessary, sell tickets for tours, and more. Planning meetings are held in advance of each event and volunteers are scheduled for each day. For this year’s events, see Boal Museum Events. Additional volunteers are need for various ongoing committee work in finance, fundraising, communications, membership, marketing, or curation, preservation, and interpretation. Some of those do require special training or experience. Whether you want to give a half day a week, four days a month, or more, we’d love to have your help! Does this pique your curiosity? Tickle your fancy? Make your mouth water? ​Then please call Museum Director, Dr. Bob Cameron, at 814-466-6210 or 814-876-0129. Leave your name, phone number, and email address. Bob either will contact you to set up a visit to the museum and to learn more about the volunteer program that interests you, or will give your name and contact info to the head of the committee you’d like to work with. Welcome! We all look forward to working with you.